Picture a smaller (just as geeky) eight year old version of me. Like most kids, Saturday morning was all about GI JOE and other sappy toy commercials. 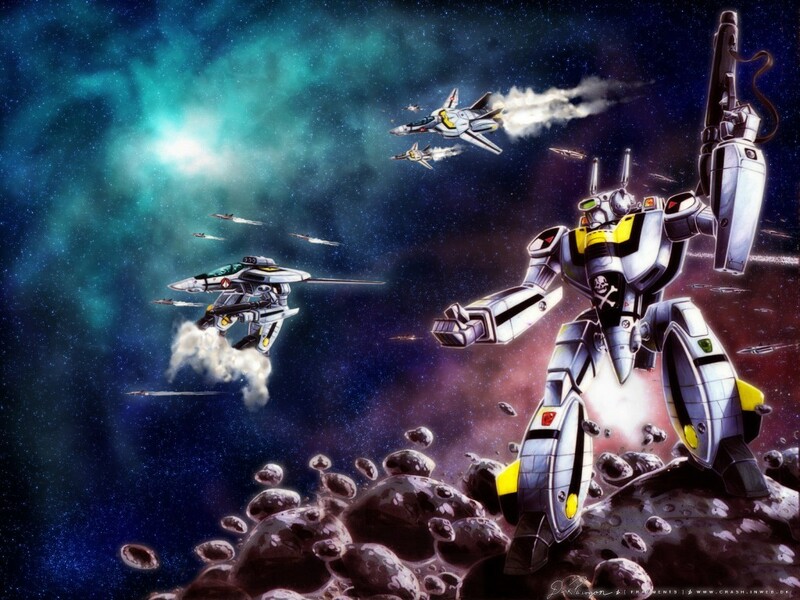 Then one Saturday in 1985 it all changed with that opening theme of Robotech. Slack jawed I watched the film scroll up to reveal a violent, original, captivating story. I had never been exposed to adult ideas like soldiers hitting what they shot at and main characters dying in heart rending drama and engrossing deadly action sequences. I was captivated by Roy Fokker flying against horrible odds, and escaping. Rick hunter growing up to be responsible for not only his life but the lives of friends and family. Needless to say it truly changed what I expected from my cartoon entertainment from then on. Now 28 years later, 85 episodes, 18 novels and countless games and franchise materials we finaly have the miniature game. Robotech® RPG Tactics™ is a table top miniature based strategy game placed in the Robotech/Macross universe. From what we know so far, the game is based around the events of the first few episodes of the original 1980's TV series. "Robotech® RPG Tactics™ is a battle game in which players build armies of multiple squadrons of mecha to fight it out in scenario driven, objective based game play. Depending on the faction, and their choice of mecha, a player's army may include anywhere from 2 game pieces to as many as you desire! The rules are scalable from small skirmishes to mass combat with hundreds per side. Robotech® RPG Tactics™ uses a dynamic turn system. Players trade off activating squadrons during each turn, ensuring that a player never has to sit and wait while his opponent moves and attacks with his entire army. By using alternating activation of squadrons, the game's action unfolds at a fast and furious pace, allowing large scale battles to be easily carried out in a single evening. The wide variety of mecha in the boxed game bring to bear the myriad and awesome weapon systems from the Robotech universe to lay waste to your foes. Even the battlefield itself can alter over the course of the game, as buildings are leveled by destruction unleashed during the battle. 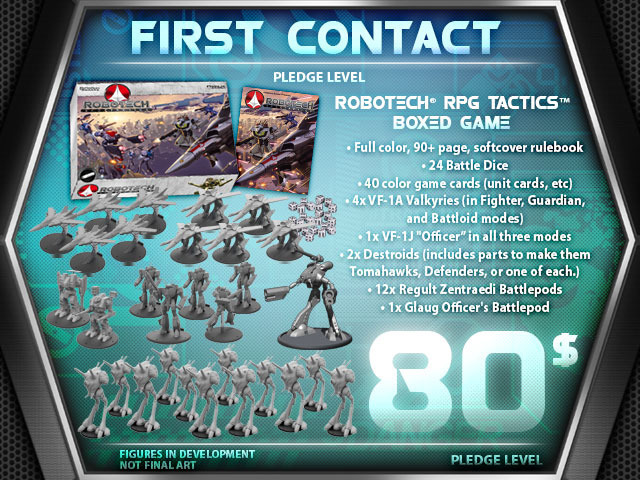 Each player receives a number of Command Points each turn based on the number of mecha they have on the field, and the quality of their officers. Command Points are spent throughout the turn on maneuvers such as boosted movement, devastating weapon salvos, breakneck dodging counterattacks, and potent special abilities." 12 Zentraedi Faction Dice - UNLOCKED! 12 UEDF Faction Dice - UNLOCKED! 1/285th scale (40-70mm), high quality, multi-pose plastic game pieces. 1x Reconnaissance Battlepod (1 game piece) UNLOCKED! I will post more info as it comes available.